MT4 Forex trading is evolving to take advantage of a new paradigm that employs dozens or hundreds of Expert Advisors. A tool is required to monitor and track the performance of each strategy. MT4 Tracker was developed just for this purpose. 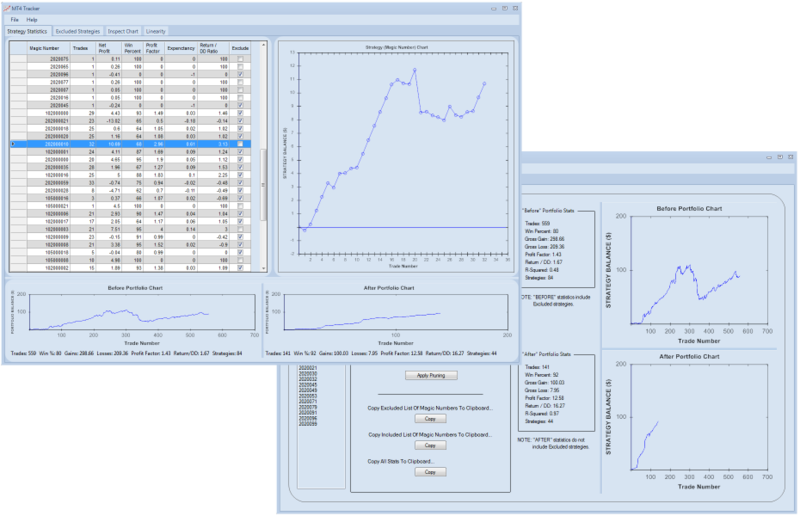 In addition to collecting statistics for each strategy, MT4 Tracker can exclude or “prune” poorly performing strategies from an EA Portfolio Expert and regenerate a new Expert Advisor that trades with greater reliability and profit. Forex Strategy Builder Professional (FSB Pro) is Popov’s flagship program for technical analysis. 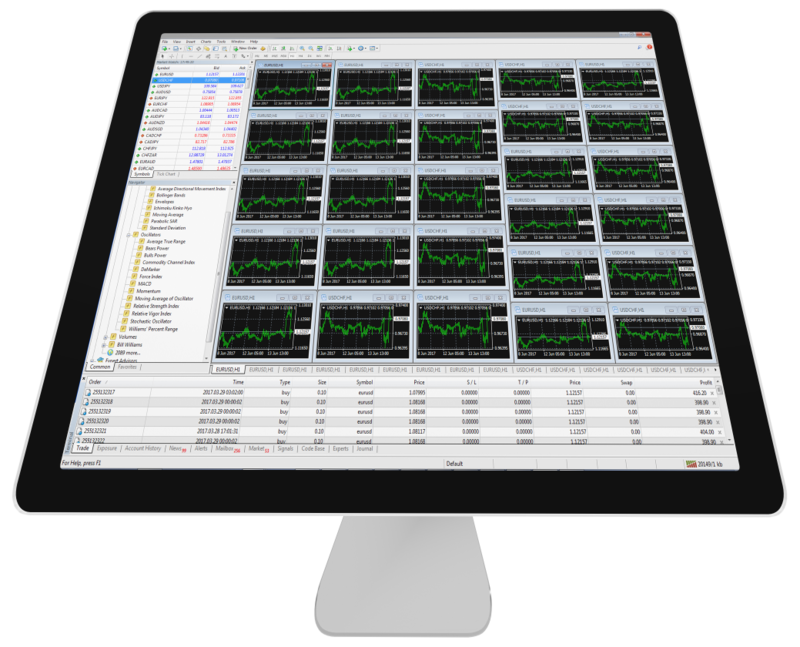 In addition to bringing a whole new level of understanding to automated trading, FSB Pro can be used to create 100’s of high-quality Expert Advisors overnight, complete with instantaneous backtesting results and accompanying statistics. Popov’s most recent product, Expert Advisor Studio, makes it easy to generate a Portfolio Expert or collection of strategies that are coded in a single MQ4 file and which can be attached to a single MT4 chart — a truly amazing and unique tool. As we migrate from the problem domain of how to create quality strategies to one of how to manage and track 100’s of strategies, a new tool is needed. MT4 Tracker can (a) track the performance of 100’s of strategies, and (b) refine or “prune” a Portfolio Expert to exclude specific strategies that perform poorly.